This is what liberals really mean by “free speech.” On Monday, the Washington Examiner reported that Twitter blocked a digital ad posted by Rep. Marsha Blackburn, R-Tenn., who announced her run for the Senate seat currently held by GOP moderate Bob Corker. According to the report, the ad was censored over Blackburn’s statement that she “fought Planned Parenthood,” and “stopped the sale of baby body parts, thank God.” According to Twitter, that was an “inflammatory statement” related to abortion. An employee of Twitter told Blackburn’s team the ad would be blocked from appearing on the popular social media site unless Blackburn’s claim that she “stopped the sale of baby body parts” while serving in Congress is edited out. Boasting of shutting down that aspect of Planned Parenthood’s operation constituted “an inflammatory statement that is likely to evoke a strong negative reaction,” Twitter told Blackburn’s campaign. Let’s put this into perspective. Social media sites are now telling politicians what they can and can’t say in their advertisements. This referred to her chairing the House Select Investigative Panel on Planned Parenthood, which was created after the Center for Medical Progress released explosive undercover videos of Planned Parenthood personnel boasting about their collection of body parts from unborn children to sell for medical research. The remainder of Blackburn’s two-and-a-half minute video announcement showcases her other many conservative credentials, from her ardent opposition to Obamacare, to her perfect record supporting the Second Amendment, to her 100 percent pro-life rating. A Twitter spokesman confirmed that the platform had suspended the promoted advertisement from the campaign’s account, though he emphasized that the original tweet remains up. Blackburn, who chairs a House Energy and Commerce subcommittee on technology, told supporters, “I’m being censored for telling the truth.” Join the club.
.@Twitter should not have censored @MarshaBlackburn. Protecting the unborn is not controversial or inflammatory.
.@MarshaBlackburn: got censored? @VoteMarsha FOR SENATE 2018. 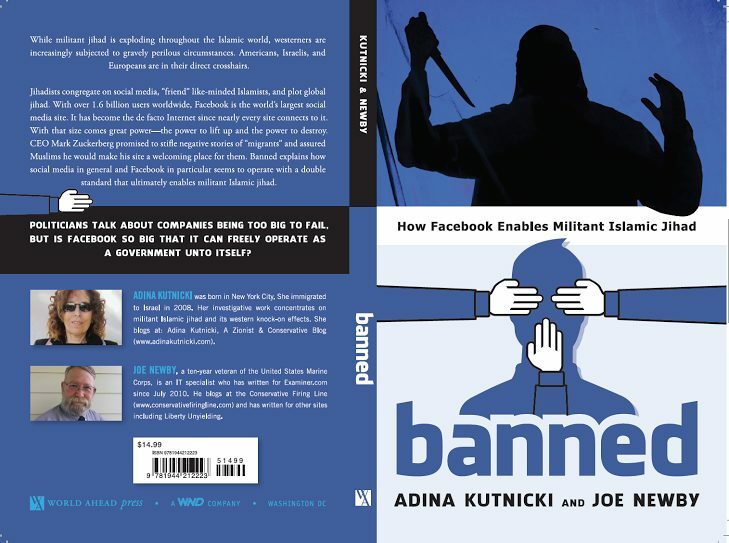 As Adina Kutnicki and I explain in our book, Banned: How Facebook enables militant Islamic jihad, the reason this censorship happens is because federal law — specifically Section 230 of the Communications Decency Act of 1996 — allows it. Combine that with the liberalism that apparently dominates companies like Twitter and the result is Orwellian censorship. Twitter has come under fire on numerous occasions for stifling certain opinions on its platform. Most notably, the social media giant indefinitely suspended alt-right provocateur Milo Yiannopoulous last February for bad behavior and harassment.